Sony Unveils the new Xperia Z, Android powered smartphone. 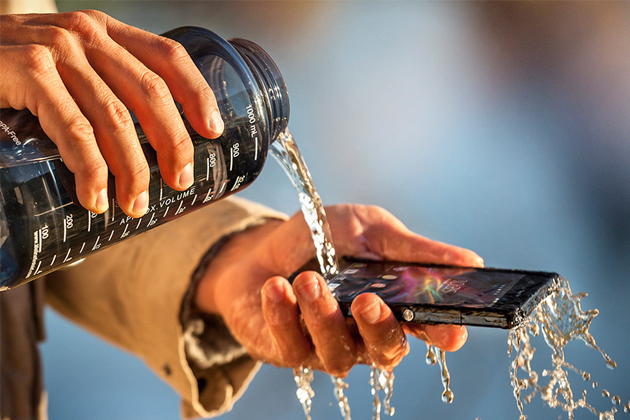 The unique feature about Xperia Z is that the phone is Water resistant, unlike other smartphones of Sony earlier. It is also Dust Proof. Water resistant, It is an amazing technology which makes the usage of phone even under shower and can be used while swimming under water. Users need not place their phone aside while going to bath room or pool, instead they can carry it and watch HD movies inside the bathroom. 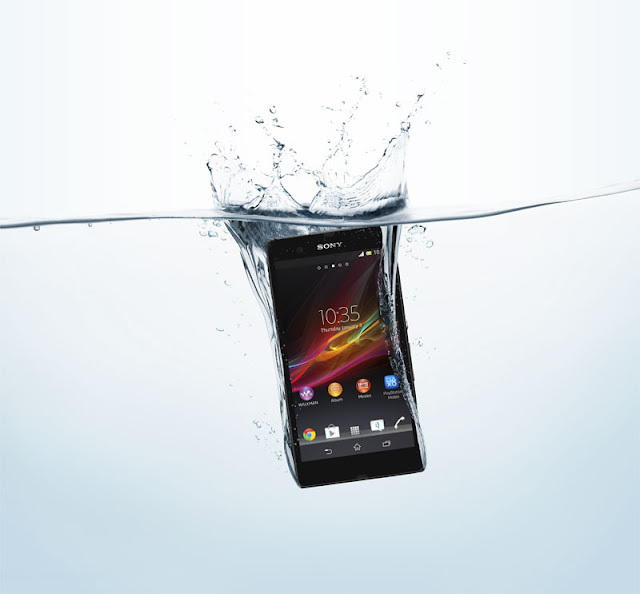 Sony's Steve walker said the same "If you want to sit in the bath and watch a HD movie, then Xperia Z is the phone for You". That's true. But it has limitation of 30 Minutes. The device can be under water for only 30 Minutes approximately and can resist a depth of one meter. Coming to the design, It is slim(Weight-146g), Shiny and thin with inch to inch covered so that there is no opening for water to enter inside the device. But users have to take care that the charging slots and covered by supports given to them while inserting inside the water. Dust and Shatter proof which makes the device shine even after a long time, even the scratch proof screen is main thing about the device. Some of the Primay features are the Android Jelly Bean(4.2.1), 13 MP camera(Primary), 2.2 MP(Secondary), HDR video recording, available in three colors (Black, White & Purple).